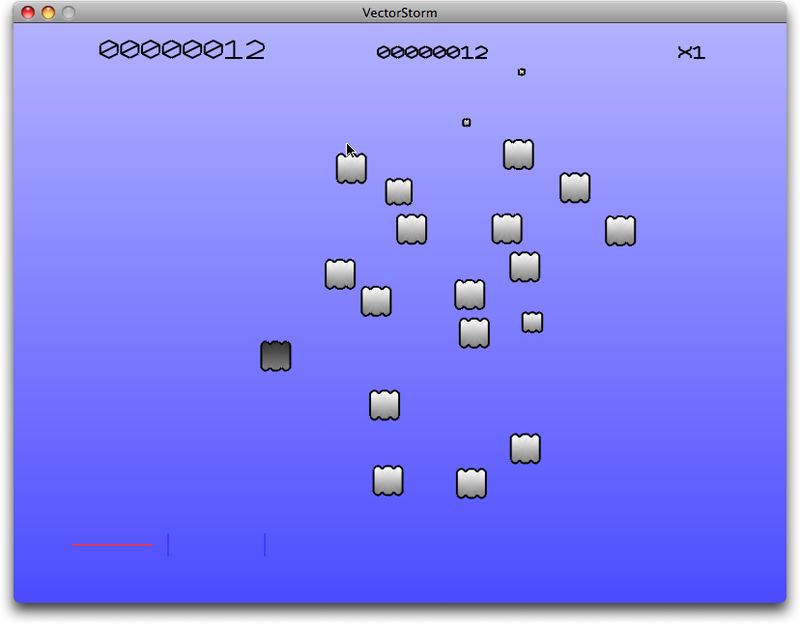 Now I just need to fit in an initial menu screen, instructions, and maybe find some sound and music. And I need to implement a control scheme that doesn’t require a two-analog-stick controller. Probably using the mouse. 24 February, 2008 in #3: ThunderStorm, Game in a Week.